As the city tries to figure out how this is all going to work, business owners that want to build or replace their own roofs are in a holding pattern. DENVER — Denver's Green Roof initiative, which was passed last year by 54 percent of voters, hasn't resulted in a single new green roof. What it has done, however, is basically freeze construction and replacement of the large building roofs covered by the new green mandate. Businesses are in a holding pattern while the city scrambles to build a workable plan to implement the idea approved by voters. "Shall the voters of the City and County of Denver adopt a measure that requires every building and any roof replacement of a building with a gross floor area of 25,000 square feet or greater, or a building addition that causes the building to become 25,000 square feet or greater, constructed after January 1, 2018, shall include a green roof or combination of green roof and solar energy collection; while also requiring proper permits and maintenance plans, establishing construction standards and a technical advisory group, and publishing construction guidelines and best practices; also allowing for exemptions and requiring enforcement with violations and penalties?" At the time it was approved, the idea was for buildings 25-thousand square feet or more to put vegetated spaces or solar panels on part of their roofs. The rules vary depending on if a building already exists or is about to be built. But since then, things have gotten a little more complicated. A task force put together to make the initiative more efficient says the ordinance in its original form had some unintended consequences. Even the people tasked with making the Green Roof Initiative&nbsp;work listed that it&#39;s &quot;complicated&quot; as the challenge. "I think of the challenges is that a lot of the existing buildings actually can't support the weight of a green roof," Katrina Magan with Denver Department Public of Health and Environment said. "So, then they could get an exemption under the ordinance that was on the ballot. So, we're looking at how do we actually help them find a way with lower cost to still honor that benefit and not just exempt those buildings that couldn't support the green roof." 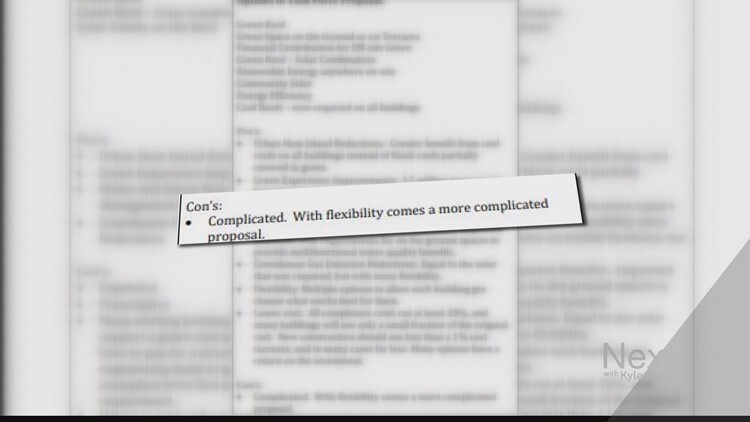 Some of the new ideas are outlined in the task force's latest draft proposal. 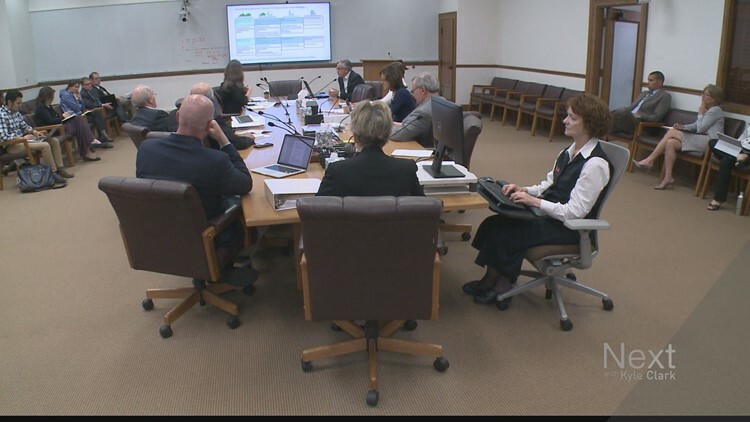 There are still some things to consider before putting together a final version of the initiative for the city council to approve, and the task force says they need the public's help to do that. After reading through the newest proposal, they're asking everyone to take send them feedback by taking their survey or e-mailing Managan at katrina.managan@denvergov.org. Any comments received by May 18t at noon will be shared with the task force ahead of their meeting on May 23, according to Managan. Public comment will remain open through noon on June 3, and the remaining comments will be sent to the task force at that time.